Sheryl Iott is a frequent solo and collaborative performer, speaker, and adjudicator. Besides maintaining an active studio in the Forest Hills area of Grand Rapids, she is also on the piano faculties of the Interlochen Arts Camp and Grand Rapids Community College. She recently spent a semester on a Fulbright Scholarship, teaching piano pedagogy and coaching collaborative piano/chamber music at the University of Brasilia in Brasilia, Brazil. While there she performed with numerous UnB faculty, featuring music of myriad South American composers. Other performance highlights include a solo recital in the Grand Rapids sister city, Perugia (Italy), and a tour of the British Isles as pianist for Voca Lyrica, a Big Rapids-based women's choir, with performances in Edinburgh, Scotland, London and Penn, England, Cardiff, Wales, and Dublin. She performs frequently on the chamber music concerts at Interlochen, with members of the Grand Rapids Symphony, and with the soprano Diane Penning. She has also performed with the Lansing and West Short Symphony Orchestras. Dr. Iott has served on the faculties of Hope College, Michigan State University, and Calvin College. Various appointments have included teaching piano, piano pedagogy, keyboard skills, music appreciation, and duties as staff accompanist. She has studied with Ralph and Tina Votapek, Ian Hobson, and Joseph Evans, receiving a Doctorate in Musical Arts in Piano Performance from Michigan State University, and a Masters in Music in Piano Performance from the University of Illinois. Dr. Iott has presented at local, state, and national conferences on topics such as teaching sightreading, fugue analysis, repertoire teaching strategies, and eighteenth-century performance practice. She has particular interest in performance and analysis topics, and has presented and performed at symposia for Indiana University, the College Music Society, and at the Eastman School of Music, and at the MSU 20th and 21st century song-cycles conference, in collaboration with Gordon Sly and Michael Callahan, theory professors at Michigan State University. 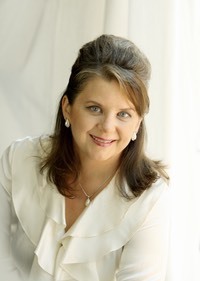 She has published in the music education (ˆDevelopment and Practical Applications in Music Learning Theory, GIA, 2005) and piano pedagogy (American Music Teacher, 2005; MTNA e-journal, 2014) fields. She is currently the editor of Audea, the newsletter for the Gordon Institute for Music Learning, and is working on a book on music cognition and effective practice strategies.